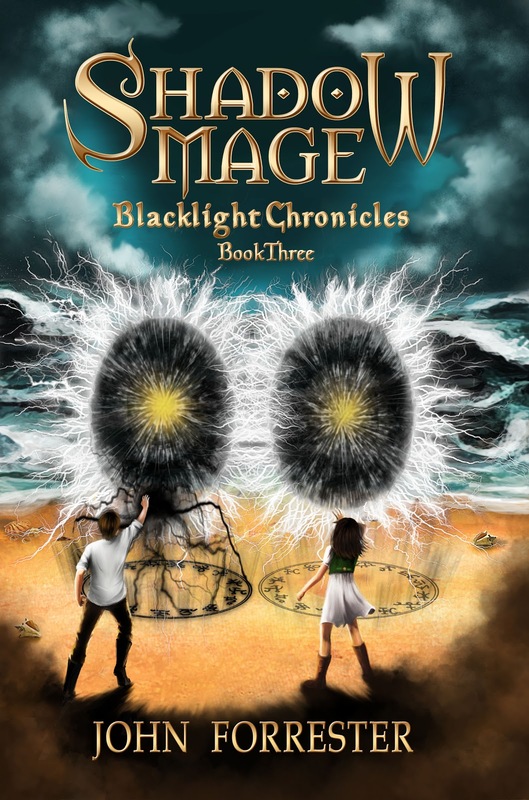 Introducing the third book in the Blacklight Chronicles fantasy series, SHADOW MAGE! The book is available right now on Amazon Kindle. A mysterious sorcerer from the Tarasen Islands arrives, with eyes on the black crystal, aiming to create a World Portal to the planet where Aurellia and his Elders have escaped. Talis finds his heart wrenched between saving his city and saving the one closest to his heart. Even after being trapped on an alien world, with no way back home, Talis realizes that his friendship with Mara and Nikulo is the key to their fate and survival. As the world spun wildly, Talis grasped at anything to stop his fall, but his fingers only sliced through the shimmering fog. He found himself sprawled on the ground, a hazy light bathing bright spring buds in the branches above. Someone was holding him down, and he glanced around groggily, realizing Mara was shaking him and slapping his face. He blinked. She yelled at him, her face frantic and desperate, but he couldn’t hear a word she said. His vision blackened and he found himself sinking backwards. He reached out, trying to steady himself, to hold Mara, hold something, anything to keep from falling again, but there was nothing to hold onto. He felt himself plummeting—arms and legs flailing—from darkness to quickly growing light, farther and farther, reaching jagged, menacing clouds. “Mara!” he shouted, but his voice sounded deep and slurred and the wind whistled around him as he fell towards the ground. He twisted and stretched, and the next moment he was standing on a vast plain dotted with boulders and stands of towering, alien trees. Talis squinted and stared. The trunks were banded with red razor-sharp limbs jutting out, holding limp emerald-colored leaves. A whirlwind tumbled towards him, interrupting his fascination with the strange trees. The devil storm gathered strength and momentum, and Talis swore he glimpsed tortured faces within. He cringed and raised his hands to stop the assault, and the whirlwind froze just inches away. Inside the churning storm Talis recognized one of the faces: Rikar. His old friend. A traitor to his own people. What had happened to him? Talis felt a chill staring at Rikar’s pleading eyes. With a sudden pop, Talis’s ears opened and he heard screams and moans and cries for help. A chorus of suffering. But one voice punched through the rest. Rikar’s voice, low and clear. Talis, you must help me. I’m sorry for everything I’ve done. I made a terrible mistake going with Aurellia. Then Talis heard a tremendous hissing sound like thousands of vipers slithering in the dark. He clenched his hands over his ears, trying to make the sound stop. Everything flipped inside out, spinning, and Talis was suddenly back in the swamplands again. Mara’s hands covered her face, tears spilling through her fingers. Charna, Talis’s pet lynx, nuzzled his hand and gazed at him with those mystical, golden eyes. She really is a gift from the Goddess Nacrea, Talis thought. “What’s wrong, why won’t you come back?” Mara mumbled, her voice choked with tears. “Mara…” His voice sounded like an old man on a deathbed. Talis coughed and cleared his throat. Talis stared at her blankly, trying to remember what had happened. The map, the vision, the other world. As they gathered their gear and prepared to leave, Talis grabbed Mara’s wrist. “I heard him.” He sighed, remembering Rikar’s tortured eyes. The City of Naru still looked bruised from the battle with the Jiserians. Their flying sorcerers had attacked several times in the last few months, but nothing like the massive battle months before. With the Temple of the Order of the Dawn destroyed, and the crystal underneath broken, the wizards of the Order had little power to sustain fights against the invaders. 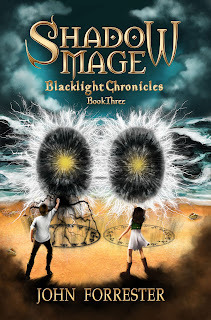 Talis had learned to summon the power of the black crystal that lay beneath the Temple of the Sun, and only he and Master Jai fought together to defend their city. The other wizards refused to come anywhere near the temple. As Talis and Mara sauntered through Naru’s western gates, the soldiers backed away like they were infected by the plague. A hero’s welcome, Talis thought. Worse every day. They still hate the new temple, and mistrust the black crystal… Now the opposition that the Order had expressed against Talis and the black crystal affected the royal House of Lei. Mara’s family. “We should probably split up now.” Talis stared up at the city’s massive stone arena. Her eyes glittered and she smiled, then turned and ran off towards Fiskar’s Market. Father looked bleary-eyed as Talis sat on the chair next to him and warmed his hands by the fire. He stared at the flames dancing around hickory wood. But in the silence Talis could feel his father’s mind working. “The black crystal saved our city.” Talis said the words louder than he intended, and his father raised an eyebrow in response. Although officially Talis was a student of the Order of the Dawn, since his journey the masters of the Order had issued him strange special assignments and forced him to study under old masters of forgotten magical arts. Not that he minded. He could stay away from his former classmates who now treated him as if he was an outcast. After sneaking into the Order of the Dawn early morning through the side gate that led into the masters’ chambers, Talis clambered down the steps to the dungeon that was Master Grimelore’s workshop. As far as the other wizards were concerned, Master Grimelore spent too much time gazing at the fires that ever-burned in various stoves and heaths scattered throughout his voluminous workshop. He rarely left, insisting that the chill of the outside air might sap the Fire Magic from his body. Master Grimelore emanated dry heat from his skin and hair and eyes. His face looked like a leathered lizard, with a nose that seemed better suited as a bird’s beak. Instead of giving formal lessons, this morning Master Grimelore poked searing-hot coals with an iron stoker, his expression seemingly unsatisfied with what he saw. Obsessed with Fire Magic, but not fireballs or the summoning of flames, rather he focused on the art of channeling heat directly inside his enemies. Talis could attest it came in handy for keeping himself warm when he was out in the cold. Other wizards avoided Master Grimelore’s eccentricities, claiming his kind of Fire Magic was messy. Talis could tell from the wry glint in Master Grimelore’s eye that they’d be learning how to draw heat from the roaring fire at the brick hearth. That part was easy. Holding it inside and containing the heat was an entirely different matter. “Begin.” Master Grimelore stoked the coals until they seethed with heat, and glanced at Talis out of the corner of his eye. As Talis allowed the intense heat from the fire flow into his body, he built an invisible container to envelop the power. But pictures of flames melting his body to ashes caused his concentration to break. In a rush, he pushed the heat back into the fire and Master Grimelore jumped away from the hearth in surprise. “I saw what happened.” Master Grimelore wagged a finger, a mischievous look in his eyes. “You were thinking of that beauty of a girl…what’s her name again? Mara? A young boy like you, of course you can’t concentrate.” He made an obscene gesture that made Talis believe his master was getting crazier by the day. Talis felt his face flush, and he turned away to stare at the fire. Why would his master be thinking that? Did it show on his face when he thought of Mara? As Talis sipped the delicious milky tea, he grabbed his thoughts and tossed them to burn in the fire. Shadows under the flames, Talis thought. In his gazing, an inky-black mass bubbled out, covering his face and ears in a wet, sticky sensation. He dared not break his meditations, but felt revolted at the feeling. Shadows. Aurellia’s face flashed in his mind’s eye, laughing and mocking and hideous. Shadows. Rikar’s tortured face trapped in the whirlwind. Talis gasped, and opened his eyes in a panic. Master Grimelore stood towering over him. Talis somehow was lying on his back. The vision was true. Rikar was out there on that planet being tortured. An immense pressure fell over Talis’s chest until he felt suffocated, with a knowing that he had to help Rikar. But considering all the terrible things Rikar had done, and his choice to follow Aurellia, the dark lord who devastated the Temple of the Goddess Nacrea, Talis knew that helping Rikar was a bad idea. But if he didn’t respond, if he ignored the call of Rikar and Aurellia, the shadows might rise up and overtake him, like the waves that washed over Onair and destroyed the city. In the eerie grey and silver light, the dank subterranean room smelled of clay and ink and fish oil. Barrels of the nasty tasting oil were stacked randomly in the corner of the chamber. Talis arrived late again for his least favorite subject: Rune Magic with Mistress Cavares, one of the oldest and weirdest of the wizards of the Order. And his afternoon studies included two hours trapped here in this dungeon. “Have you memorized Galarian yet?” Mistress Cavares didn’t even bother to look away from the tablet she was inscribing. She worked painfully slow inscribing the rune, as if one mistake could blow the whole room up. She finished and started chewing on a roasted snake. Talis’s skin prickled at the crunching sound. She wiped her lips, but several shiny, green scales still stuck to the corners of her mouth. “You must memorize both the language and the combinations.” Her long, claw-like fingernails were painted purple with green swirls. She inscribed four characters on the rune, and each glowed after she lifted her hands from the small oval-shaped clay tablet. Mistress Cavares had forced Talis to learn many ancient and discarded languages, mold clay tablets, and cast spells over the rune inscription. The rune combinations and bindings and unravellings baffled Talis. She didn’t even smile, although Talis knew he’d gotten it right. If he’d been wrong, she would have launched into another of her tirades about how incompetent he was. “I want to learn.” Talis felt his skin crawl in anger, but he kept calm. Talis realized his heart hadn’t been in his studies. All this time he’d been spending with Mistress Cavares he’d been thinking of other things: his adventure, the Jiserians, the temple, and of course, Aurellia and Rikar. But had he really learned nothing? He looked down at the runes he’d inscribed the other day. Nothing perfect, but the knowledge of runes was slowly seeping in. He felt suddenly determined to conquer the art of runes, despite what the others in the Order had said. But he could tell by the skepticism in Mistress Cavares’s eyes that he’d have to prove himself. “And the first character?” Her face held the expression of someone who’s caught a thief. How is it nasty if it just sits there and does nothing? Talis thought. “Now this rune you may have seen before.” She fingered a four-character rune. “But that’s unfair!” Talis couldn’t believe she was being so unreasonable. The stone spun around in circles. When it settled, frost slithered across the surface. Talis reached out and cautiously touched it. The stone was so cold Talis snapped his hand back in surprise. Talis concentrated on similar specific images: a blazing forest fire, the smell of roasted spiders, smoke in his eyes from huts burning, heat surging in his chest. He opened his eyes and released it all into the stone. The table sizzled and spat swirls of smoke from the heat of the stone. Mistress Cavares glared at Talis as if he were mad. What did she mean by that? She was always talking in riddles. Talis shook his head and found himself stepping away from the table. He heard a meowing sound and glanced over just as Kalix, Mistress Cavares’s cat, sauntered across the table. “No Kalix!” Mistress Cavares said, and scooped up the cat. “You know you’re not supposed to sneak inside my workshop.” She scratch the cat’s head and under his chin, and Kalix purred loudly. Talis smiled and went to pet the cat, but his movement seemed to spook Kalix. In a sudden jerk, the cat leapt from Mistress Cavares’s arms, and landed directly on the spot where the rune was placed. Kalix froze like a stuffed animal, eyes frightened, tail pointing straight up, body as rigid as a stone sculpture.